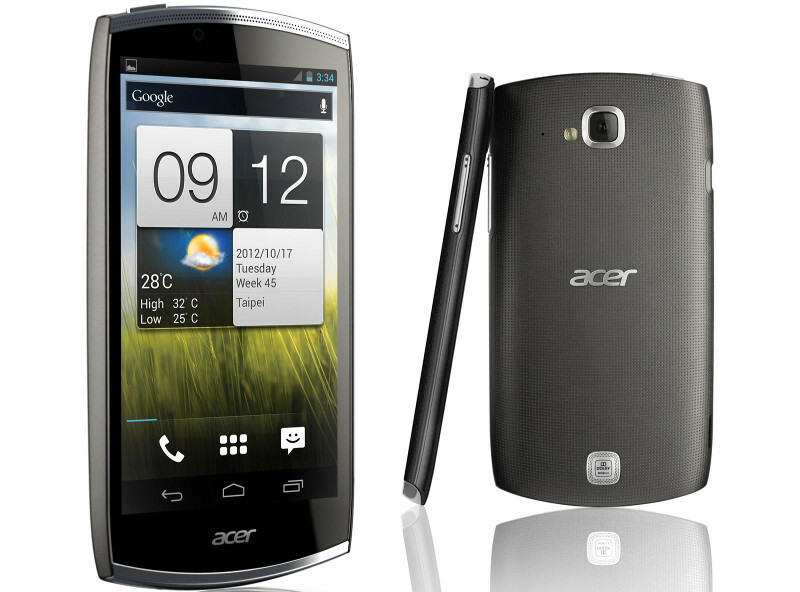 The Acer CloudMobile S500 is finally (!) coming to the stores. Since it was introduced in the Mobile World Congress 2012 in Barcelona, I've been hunting for detailed specifications of this handset for several months, as I was mostly intrigued about its battery life. Well, the wait is over. According to the official specifications appeared in the Acer Customer Support site, the handset sports a disappointing 1460 mAh Li-Ion battery. This is too close to the low-end Acer Liquid Glow (1300 mAh) that lasts about one day with moderate use. The bigger screen (and double the resolution) of the S500 won't help here. With these specs, at this price point (290 GBP in UK) and being late to the game (Acer should have launched the S500 long before the new offerings from Nokia, Apple, Motorola and.. just everyone) I don't think the S500 will stand a chance in the wild. You'll find the detailed specifications and a link to download the Official User Guide shortly after the break. Please take a look and have your say in the comments section below.